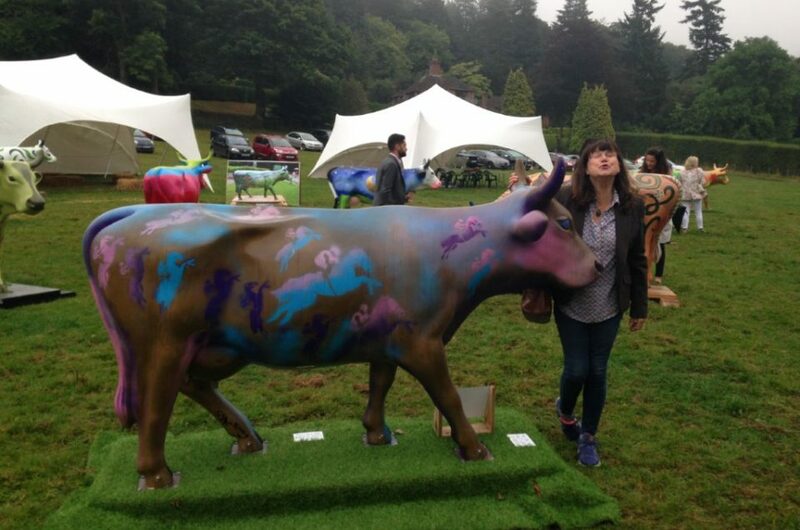 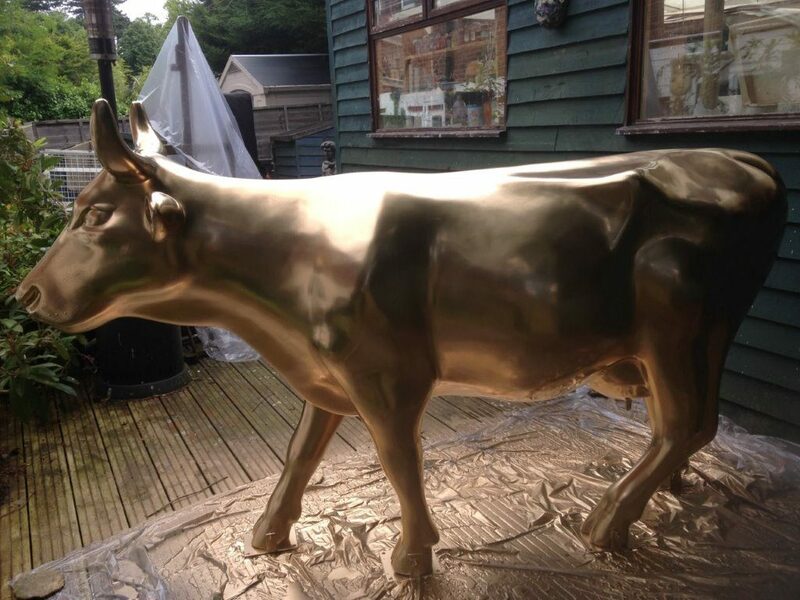 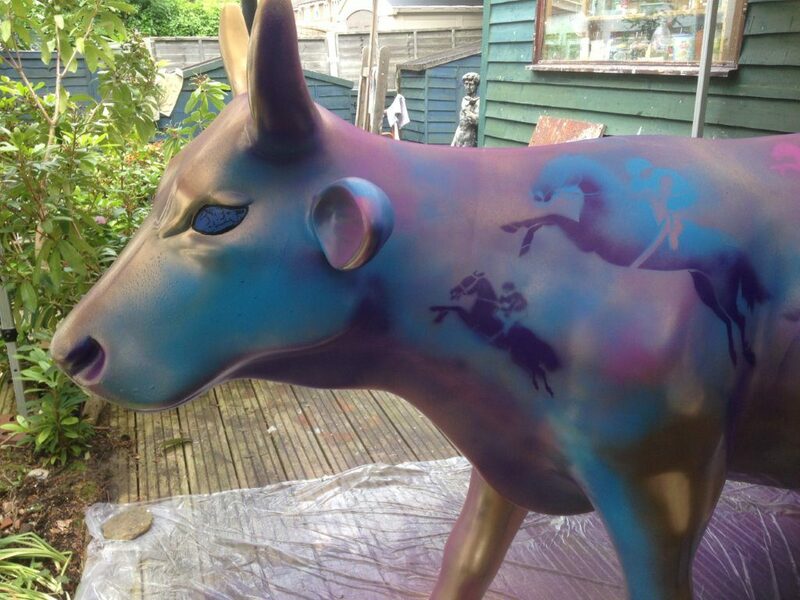 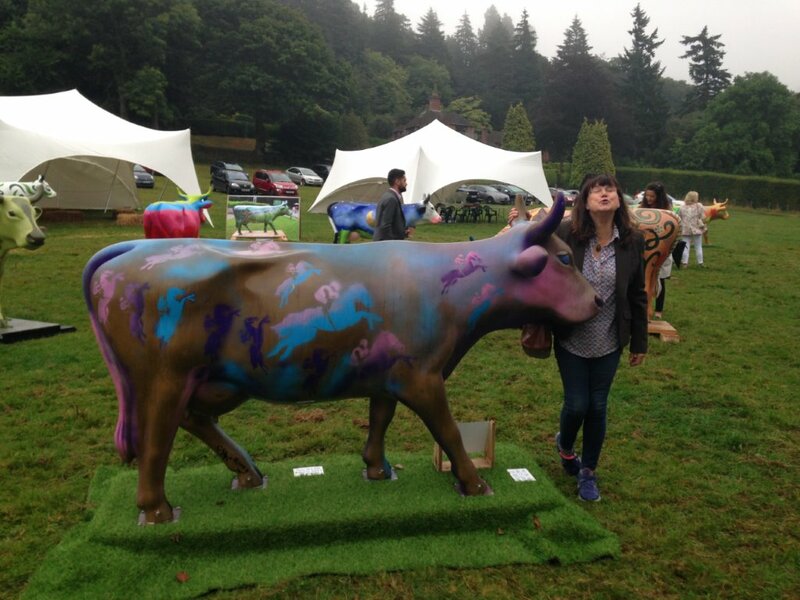 This is my golden Cow..SANDY, she was created in conjunction with Sandown Park Race Course and was part of the Surrey Hills Cows Project! 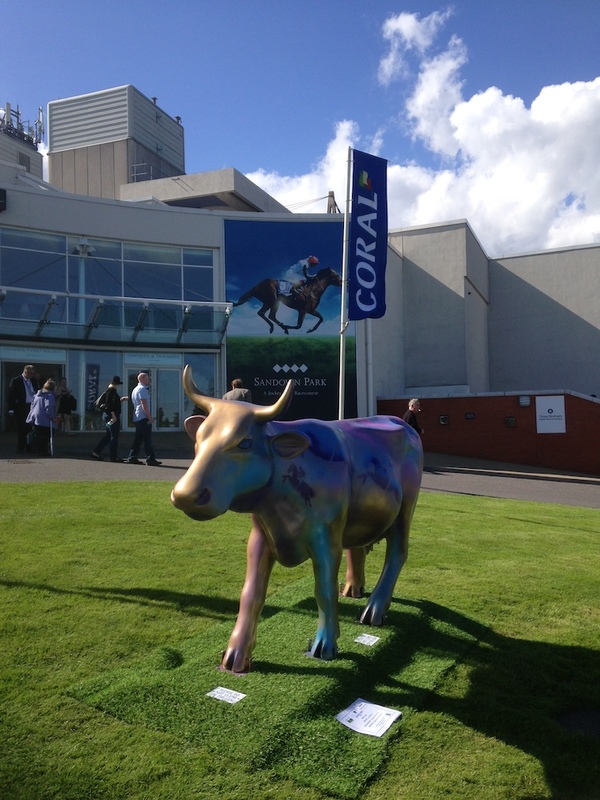 All Cows…57 were Auctioned at Sandown Racecourse and the proceeds from the sale of Sandy went to the Injured Jockeys Fund! 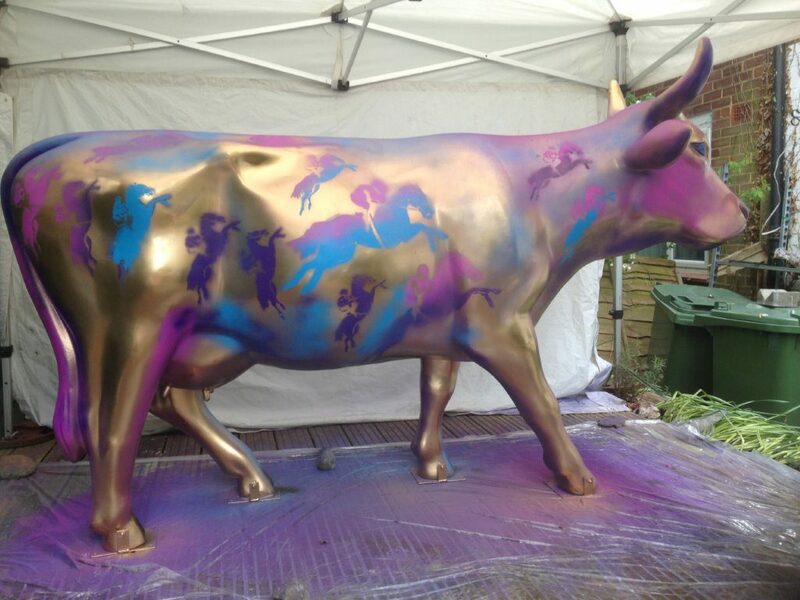 She was created with spay paint …a gold base and stencils. 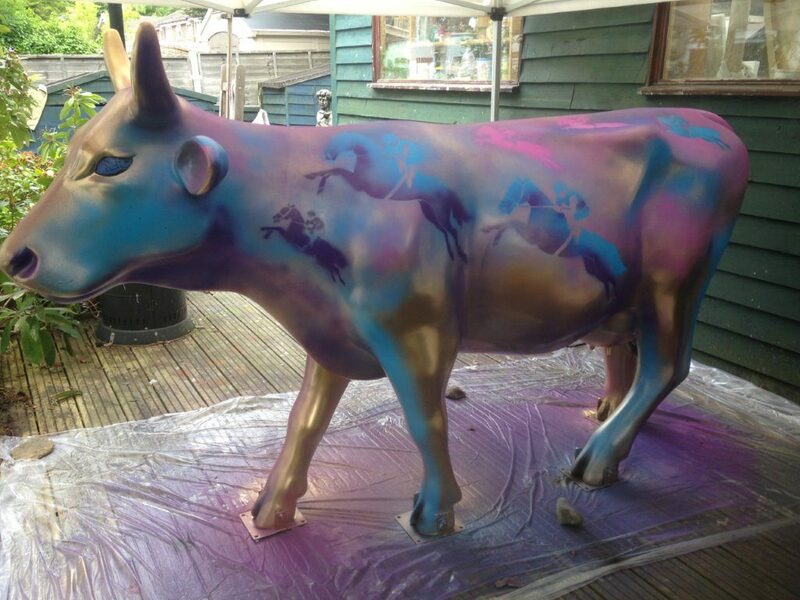 Here are some photographs of the artwork in process and proudly displayed at Sandown.